Ade has years of coaching experience under his (ever expanding) belt! Having previously run our Junior sessions on a Tuesday, captained our National Junior League teams and excelled in the role of social secretary – Ade is a crucial part of our coaching set up, he currently drives our adult coaching/practice/social on a Tuesday and is often found by the refreshments! Prakash is an excellent player and coach, he has the ‘patience of a saint’ when working with kids as young as 6 years old! Having taught many beginners the correct grip, stance and basic shots in his multi-ball sections they couldn’t have a better start. Wes has been coaching Junior players in the South East for over 20 years, his experience ranges from complete beginners in the local schools through to running ETTA Regional Squads and England Schools Captain. 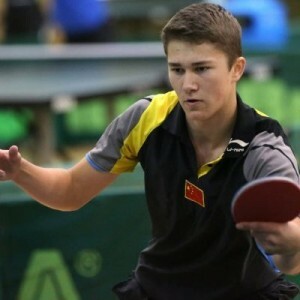 Mark’s Table Tennis career began at 13, when his father brought a table for Christmas. After very quickly surpassing his dad’s abilities, Mark joined Hollingbury Table Tennis Club, where he was coached 3 times a week. At 17 he managed to work his way up to number 18 in the National Junior Rankings, challenging some of the best players. 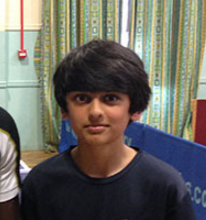 He came runners up in the English Schools Table Tennis Championships 2010, and was selected to represent England at the International Schools Championships in 2011, achieving a silver medal in the team event. He has visited China on two occasions, once with the club for training as well watching the 2008 Beijing Olympics, the second time on his own for more intensive training. In his first year at Loughborough University, he made a valuable contribution in the BUCS Team Championship finals in Sheffield, helping secure gold in a gruelling final against Nottingham Trent. His current achievements include, representing Sussex at County level, qualifying for the National Cadet Championships in Preston and he has been chosen for English Table Tennis Association training camps at Lilleshall. Viral as a player is not afraid to try different strokes to enhance his development and is currently working on consistency and shot selection. He trains very hard and loves not just the Table Tennis but the physical training associated with it! Emma was introduced to Table Tennis at an after-school club at Fairlight Primary School run by our very own Christine Wicks! 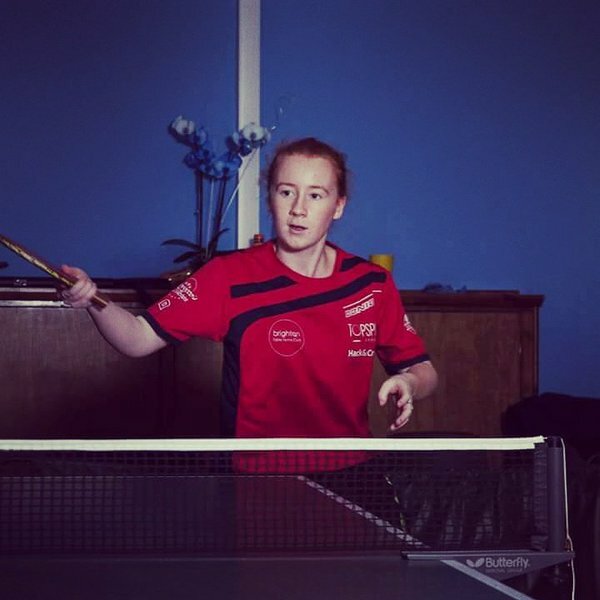 After going for a couple of weeks on a Friday, Emma decided she really liked it and having been given a leaflet to go to Hollingbury Table Tennis club (pestering her parents no doubt) started going to Hollingbury TTC once a week. Emma then started to improve by playing twice a week at Hollingbury and through coaching from Christine Wicks, Wesley Bush-Harris, Alex Green, Ade Akinboyewa, Matt Shorter, Carole Grey and Adam Proszko. The first taste of competition for Emma was to play in the Brighton Junior league and having played in that for a couple of years, coming 2nd in 2011 and making some good new friends – it’s safe to say that Emma was hooked. Having played for a couple of seasons in the National Junior League in Fareham, Emma now plays in the tough Junior British league, held in Wolverhampton over a couple of weekends each year. Emma now also trains and competes for the South East Squad and also represents her school BACA, and has National competitions coming up in Doncaster. Keep up the good work Emma! 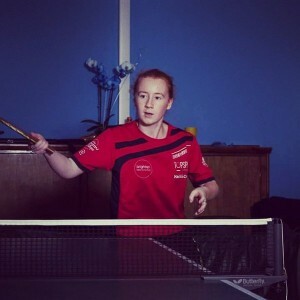 Emma moved to Grantham College where she played table tennis full time alongside her studies.